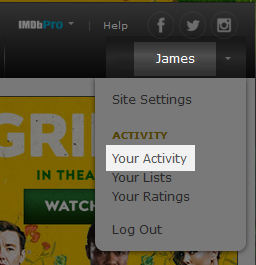 1) To edit or remove a review you posted, go to your "Your Activity" page and click "Reviews"
2) Next to the review you'd like to update, click the 3 dots to the right and choose either Edit or Delete. 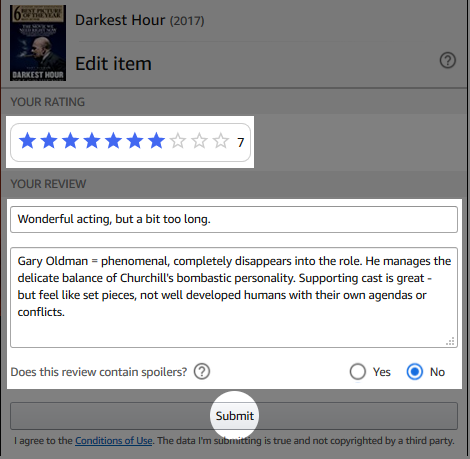 3a) Edit item - On the following screen you can update your rating, review headline or contents and whether it contains any spoilers. Make sure to click Submit when finished. Please remember, an edited review must go through the approval process again, which means it must meet our current criteria for reviews (line count, word usage, etc.). 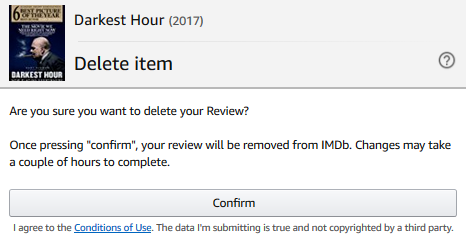 3b) Delete item - If you're sure you would like to delete your review, just click Confirm and this will be removed. 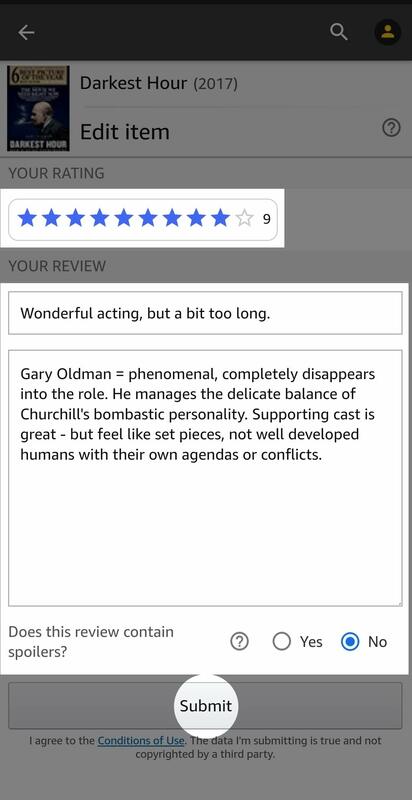 1) To edit or remove a review you posted, click the at the top left of the page and click on your name (eg. "Joe Bloggs"), followed by "Your Activity"
2) Scroll to the very bottom of the "Your Activity" page to find your reviews, beneath a short selection of them is an option to "See all reviews" - this will take you to a full list. 3) At the bottom of any review (you may need to click the down arrow to expand the review), click the symbol to open the menu for it. 3c) Permalink - If you choose this, you will be taken to a page showing only that review so you can easily share it with friends e.g., by copying the URL. 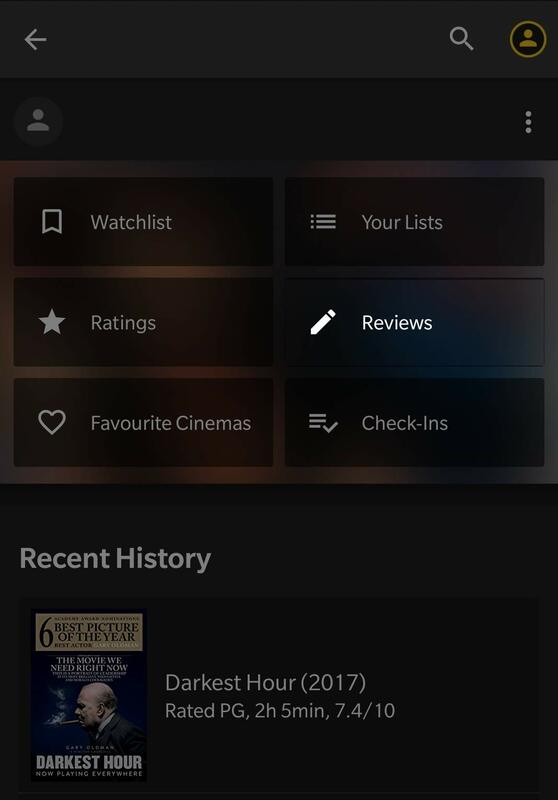 1) To access your reviews, tap the button at the top of the app and click "Your Reviews". 2) Click the at the top right of the review you wish to update and select either 'Edit' or 'Delete' depending on your request. 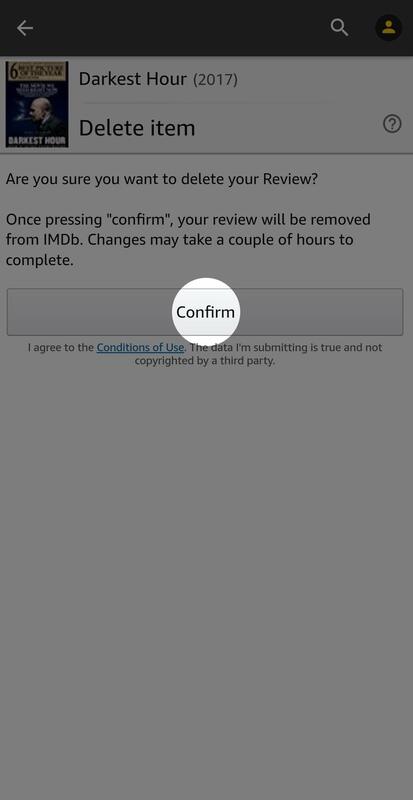 2a) Delete item - If you're sure you would like to delete your review, just tap "Confirm" and this will be removed. 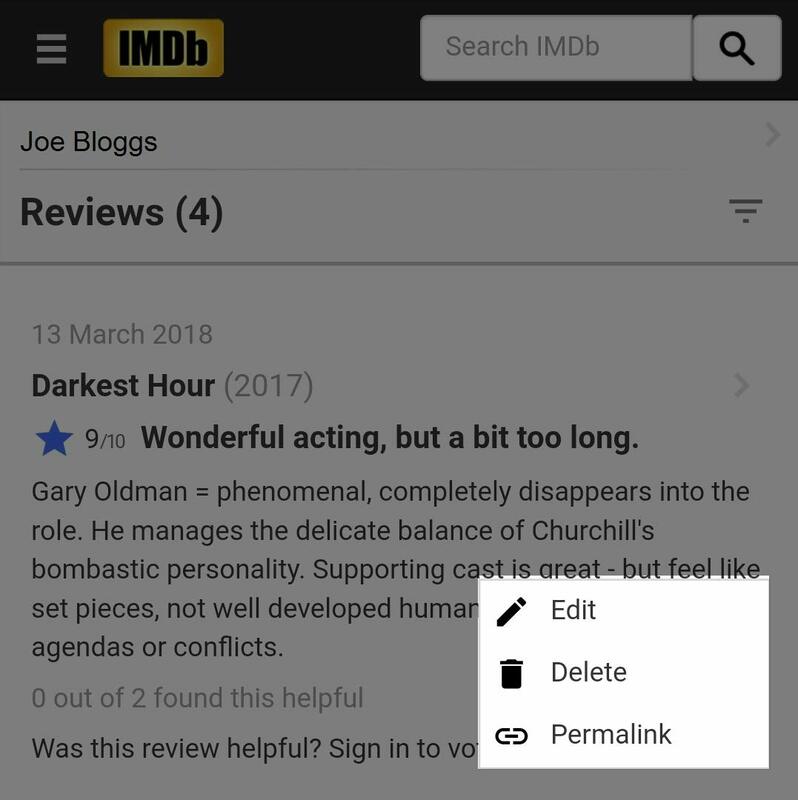 2b) Edit item - When updating you can change your rating, review headline or contents and whether it contains any spoilers - make sure to tap "Submit" when finished. Also remember, an edited review must go through the approval process again, which means it must meet our current criteria for reviews (line count, word usage, etc.). 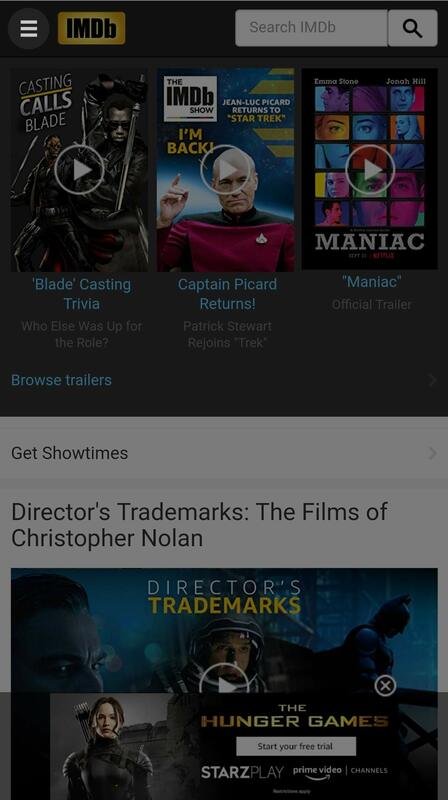 1) To access your reviews, tap the button at the top of the app and click "Reviews". 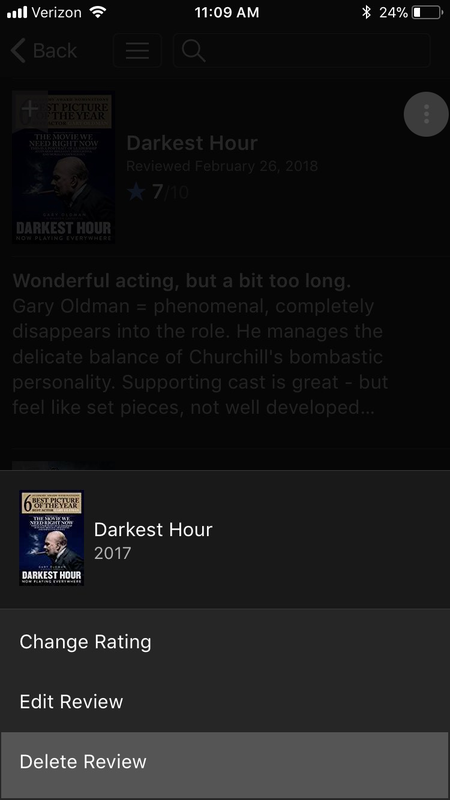 2) Click the at the top right of the review you wish to update and select either 'Delete Review' or 'Edit Review' depending on your request. 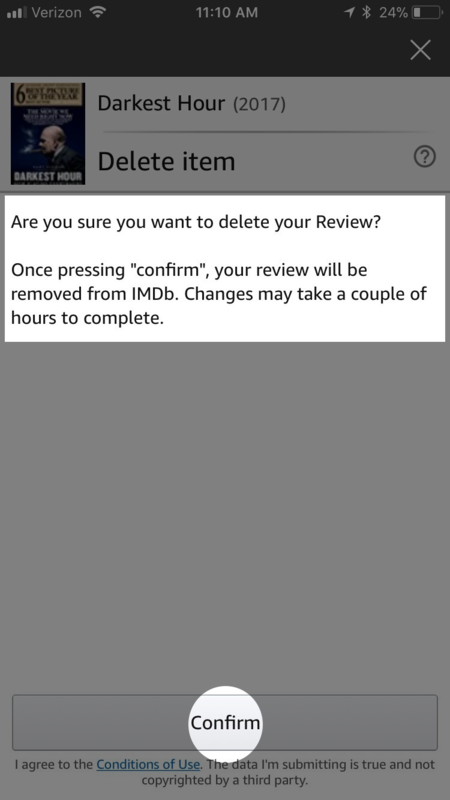 2a) Delete Review - If you're sure you would like to delete your review, just tap "Confirm" and this will be removed. 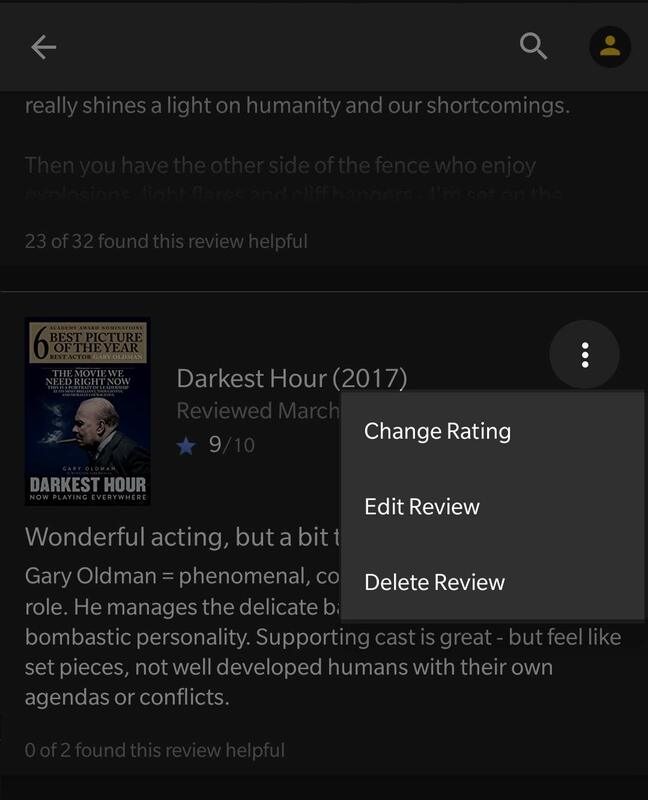 2b) Edit Review - When updating you can change your rating, review headline or contents and whether it contains any spoilers - make sure to tap "Submit" when finished. Also remember, an edited review must go through the approval process again, which means it must meet our current criteria for reviews (line count, word usage, etc.). If you've found a review that violates our guidelines, please click "Report This" at the bottom of the review and select the appropriate reason from the list then click submit. We will not remove a review unless it violates our guidelines. Due to the volume of traffic, we are unable to follow up on individual reports. 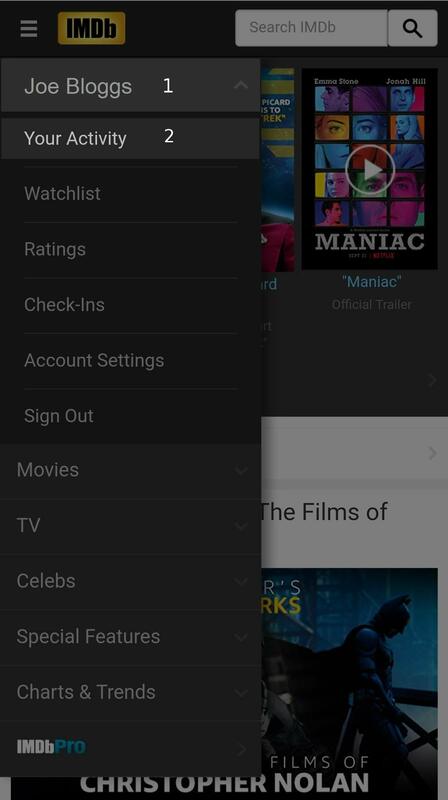 If you want us to investigate potential abuse, please provide the URL to the exact user review and include the author's name and review's summary via our contact form by selecting IMDb Fan/Contributor questions > Titles > Title user reviews followed by E-mail and our customer service can look into this for you. You can track the status of your update or report and if it has not been approved, we'll tell you the reason why. 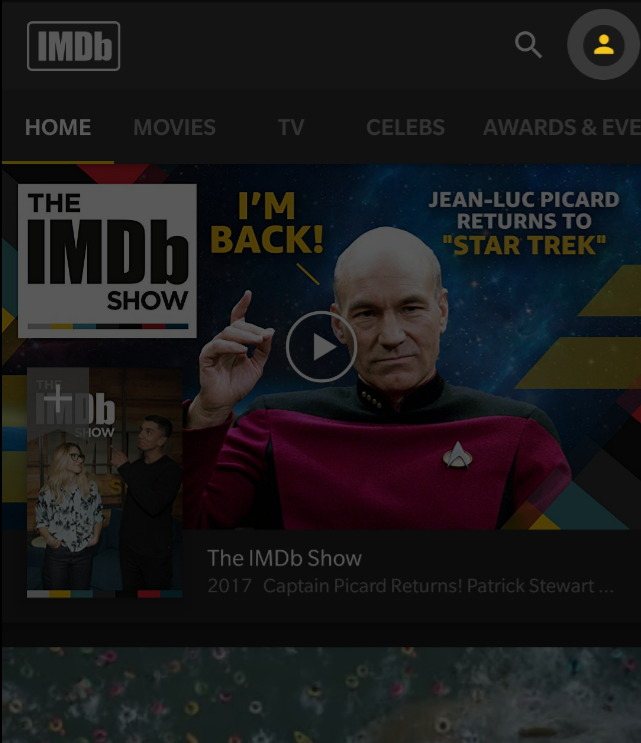 This feature can be accessed via the 'View the status of your contribution' button, which has been added to the IMDb update receipt email you will have received.